I cannot stress the importance of visualising your success. It is important to see yourself being successful. If you are a university student, studying towards a 3-year degree, visualise yourself in 3 years time walking across that stage wearing your graduation gown to get your degree that you worked hard for, for 3-years. Visualise that success and in no time it will be a reality. Talking negatively about yourself hinders you from realising/achieving your full potential. If you tell yourself that - "I'm stupid, I'm lazy, I'm not smart" those eventually become part of your identity. You are not stupid or lazy but you are smart - as people we use those negative phrases as excuses not to do anything in terms of achieving our goals. Stop the negative self-talk and see great manifestations take place in your life. Acknowledge what you don't have and move on with your life. Be grateful of the small things that you have in your life and remember that God has blessed you with what you have. I keep a grateful journal and everyday I write what I'm grateful for. You can be grateful that you have a family and friends that love you. Always be grateful, consistently remind myself what you are grateful for and continue living your fabulous life. Taking care of your body is important in order to be a successful girl-boss. Take care of yourself and spoil yourself once in a while. Exercise is not only important for your physical body but for your mental wellness as well. It relieves stress and leaves you feeling good about yourself. Hit the gym 3 or 4 times a week and sweat it out. Do exercises that you love and enjoy (I personally enjoy indoor cycling) to see positive results on your body and mind. You may be wandering what this rule is all about. When I first came across this rule, I didn't know how to apply it in my life but all I knew is I needed to apply it in order to establish some stability in my life. Basically the 80/20 rule is fundamental to every human being as it helps you live life productively by seeking maximum satisfaction and focus on your passions. 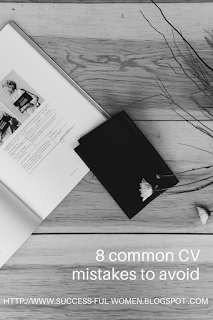 In every aspect of your life apply the 80/20 rule as that will help you find stability and live a successful life. According to Koch (Author of Living the 80/20 way) 80% of your outcomes come from 20% of your inputs. I suggest you read this book - it will change your perspective on life forever. Learning doesn't stop when you leave school or university. There is a great deal of knowledge you can obtain outside of school. Read books, the newspaper, go on adventures and watch motivational or how-to YouTube videos. Just continue learning to expand your knowledge of the world around you. 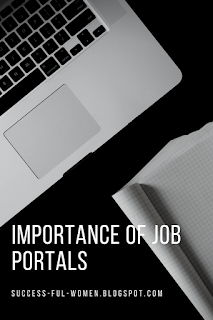 That will open up new opportunities for you, help you improve your skills and other people will find you interesting. Knowledge is available everywhere around you and waiting for you to seek it. Start waking up early as that will ensure you get more done during the day. I'm a huge fan of waking up early because my mind and body stay fresh throughout the day. I wake up at 04:40 everyday and at first it was different but now it's a habit that is imprinted in my daily life. Get in the habit of waking up early as that will enable you to be more productive, plan your day and get more hours in the day. Start waking up early and that will make a difference in how you approach the rest of your day. Taking small actions that are consistent differentiates successful people from those who are not successful. Consistency in your actions is important in achieving your goals. Take one small step everyday to work towards achieving your amazing goals and that will make all the difference in how you achieve your goals. Having a strong spiritual relationship with God is important for every successful girl-boss. Praying everyday will keep you humble and remind you everyday that you should be grateful. God listens to your prayers and he will answer you when you are mature and spiritually ready for the answer he has for you but you have to ask for the right questions and be patient. The bible says "knock and it shall be open, ask and you shall receive". Opportunities work in the same way. Go out there and seek for that opportunity. If you need a job pray about it and go out there and look for that job - it won't come knocking at your door. Faith without works is dead. 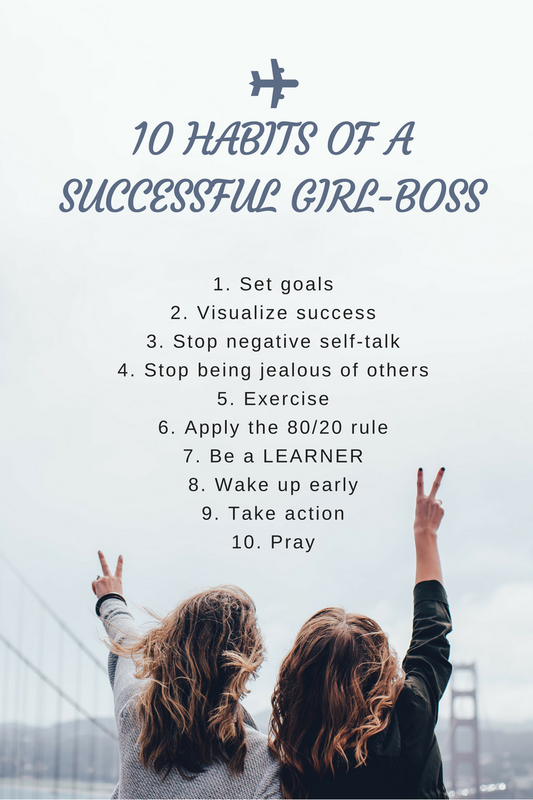 Ladies I hope you find these habits helpful and they will help you to be a successful GirlBoss. Take charge of your life and the best opportunities will manifest in your life. Leave your comments/questions in the comments section below and leave any ideas about topics you want to learn about below and I will get to it. Your love and support will be must appreciated. These habits are useful and they have helped me change my life and kept me motivated to achieve my goals and just be focused. I'm working my way through them everyday and I'm seeing positive results. I'm looking forward to more posts like this. Thank you for helping me change my life. I'm glad I could help you. Thanks for the support.